You will love the way this serum feels on your skin. I have been using it for a few months now, and It is now part of my daily skin care practice. A little goes along way, so this bottle is the perfect size, it's also perfect for travel too! 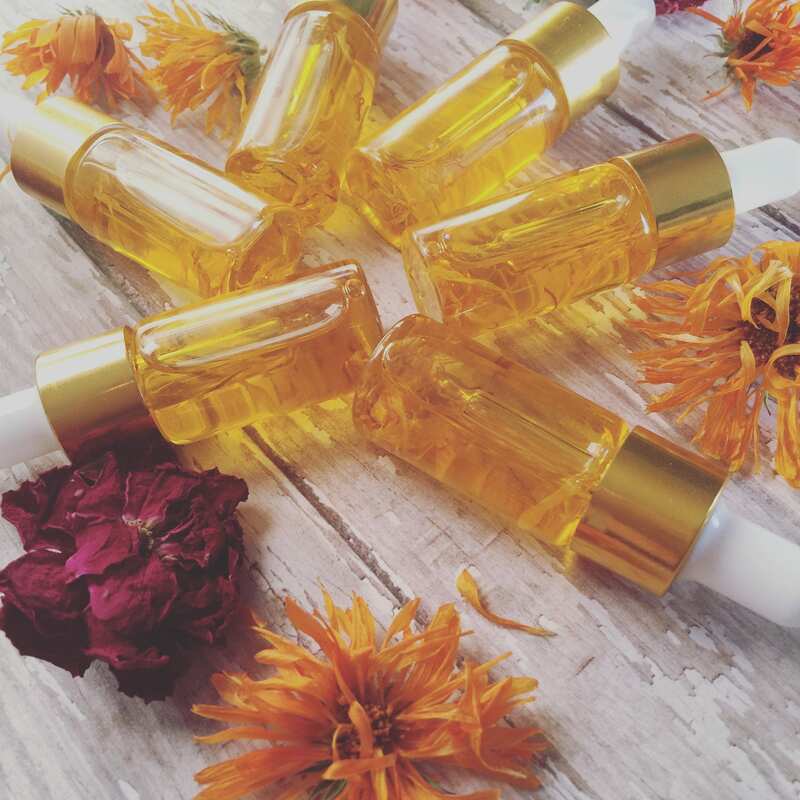 You can't go wrong with a nourishing base of Calendula infused Argan oil. 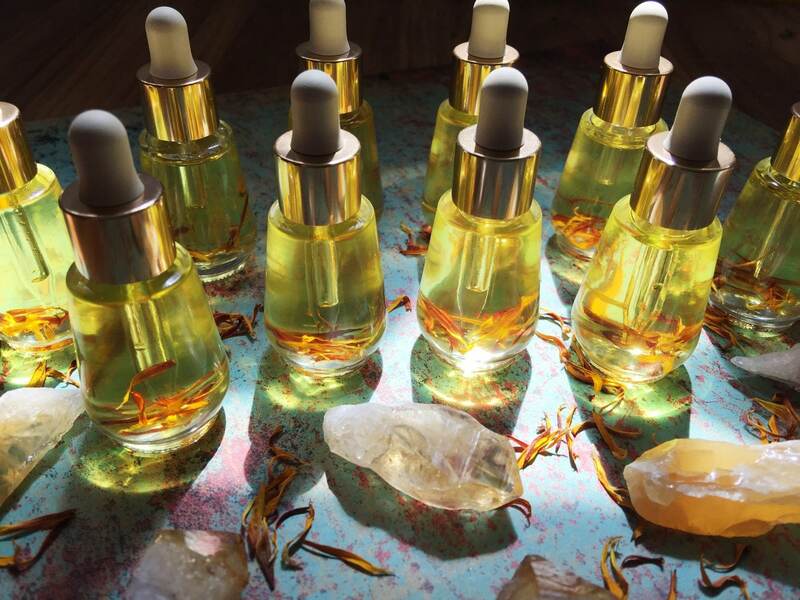 Argan oil is know for it's skin smoothing, restorative properties, it has a light feel, and dosen't make your skin feel greasy. 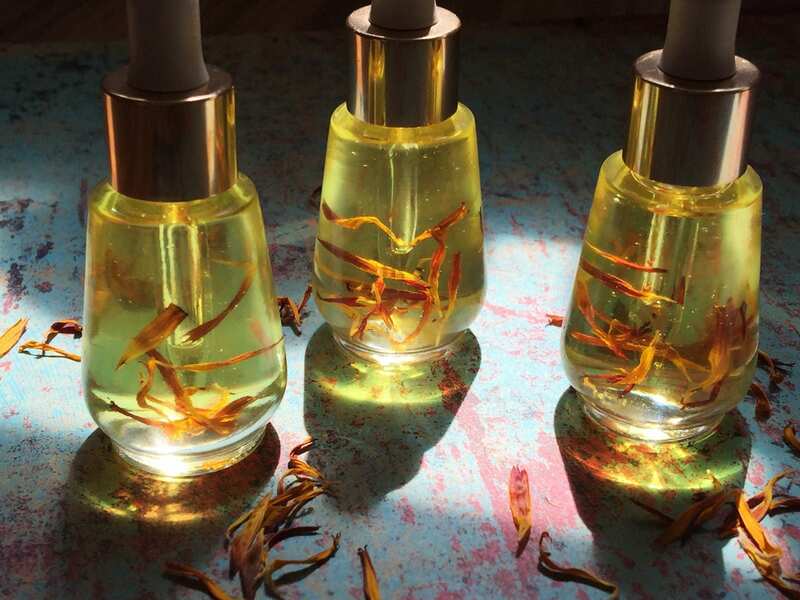 Calendula is that bright yellow/orange flower that many people have growing in their herb gardens for it's fantastical skin healing abilities. This duo provides a sweet foundation for the rest of the ingredients. 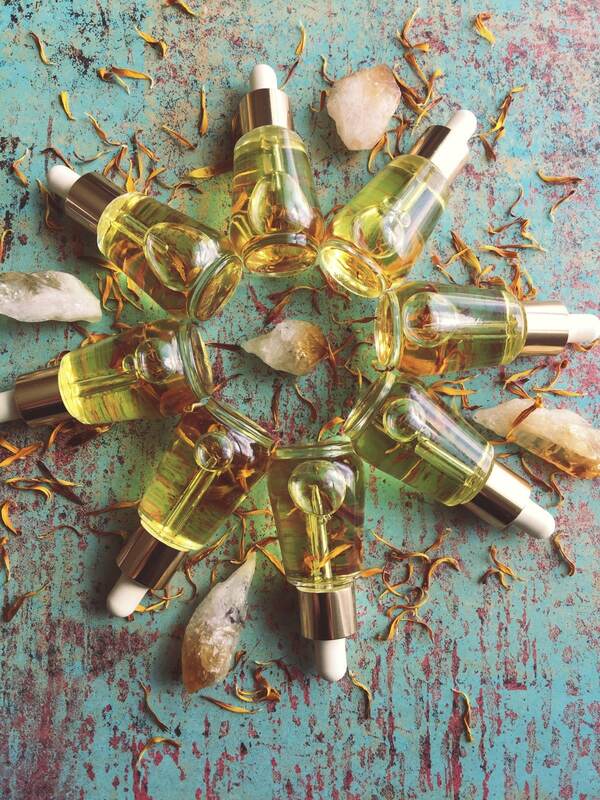 the serum comes in a 10ml glass dropper bottle, it is beautifully wrapped and packaged and ready for it's new home. Please note that due to inconsistencies with container manufacturers the bottle will not always look like the one in the picture, however it will be similar.